There is regularly talk of revolutions in the worlds of research methods, data analytics and policy evidence. We now have national strategies to build smart cities, complex algorithms for healthcare provision, real-time environmental monitoring and sources of data that decision-makers of the 1990s could not have dreamed of. 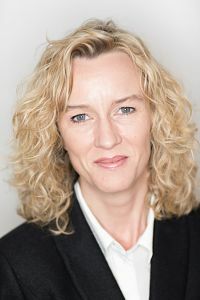 Tracey Brown has been the director of Sense about Science since 2002. Have you ever thought about where this leaves parliaments – the bodies of people who are supposed to represent us and scrutinize the use of government powers? Parliaments the world over are charged with calling policy to account and developing new legislation on issues as far apart as rented housing and off-shore fisheries, the effects of new taxation or rules on adoption. To do this they increasingly have to ask searching questions of new sources of data, complex interactions and trade offs, amid an explosion of scholarly (and not so scholarly) claims. Between elections, parliament represents our need for public reasoning and accountability. 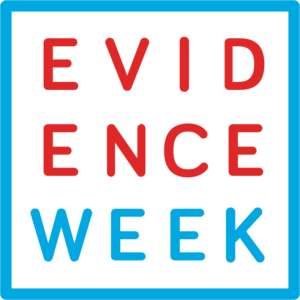 So this – the first ever Evidence Week – is a timely response to the changing demands of that role. It is about parliament relocating its activities in the information revolutions. 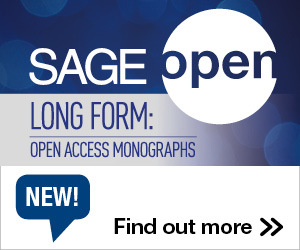 While the House of Commons library, a co-organiser of Evidence Week, celebrates 200 years this summer, it is also offering MPs access to the cutting edge tools and analysis that bring their role well into this point in the 21st century. As colleagues at SAGE Publishing, our lead partner in the week, know well, librarians are the best navigational friends in this journey. Together, and with input across social networks and research communities, we have produced a week of punchy briefings and themed debates. Beginning with questions of quality, we move through statistics and data disaggregation, and on to assessing what works and understanding ‘wicked problems’ – those seemingly simple issues with complex origins such as air quality, obesity and homelessness. The message of Evidence Week isn’t a simple celebration of science. It’s that insights into the uses of scientific evidence go a long way to support effective scrutiny and reasoned decisions. That matters to the public in many, many ways – as teachers, cyclists, housing officers, construction supervisors, gym instructors, helpline operators, conservationists, patients, parents – and as voters who are deciding where they stand. This is why Evidence Week opens with a delegation of community groups from all over the UK. It is why we will finish it with a roundtable in which Ziyad Marar, president of global publishing at SAGE, will join me, along with parliamentary committee chairs, the head of the Office for National Statistics and public bodies to consider, ‘Are we asking what people want to know?’ SAGE will be publishing this as a paper to take forward the thinking of Evidence Week and as the start of a conversation about the use and understanding of research in parliament – one that we hope everyone reading this will want to be a part of. June 25-28 will see the first ever ‘Evidence Week’ in the Parliament of the United Kingdom. Activities during the week will address quality evidence, what matters and what questions we need to ask, what is most effective and how and what we need to do to support and ensure engagement at a government level. It will bring together members of Parliament, peers, parliamentary services and people from all walks of life across the UK to talk about why evidence matters. In particular, activities will highlight the role of the House of Commons Library and POST and sharing insights into the work of parliamentarians in seeking and scrutinising evidence. The week is an initiative of Sense about Science, the House of Commons Library, Parliamentary Office of Science and Technology and House of Commons Science and Technology Committee, and is in partnership with SAGE Publishing (the parent of Social Science Space). Individual events and briefings are collaborations with community organisations, research and regulatory bodies including the Royal Statistical Society, Alliance for Useful Evidence, Institute for Government, UCL, CLOSER, Cochrane UK and the Society for Applied Microbiology. This entry was posted in Public Policy and tagged Evidence Week, Evidence-Based Policy, Sense about Science. Bookmark the permalink. Post a comment or leave a trackback: Trackback URL.